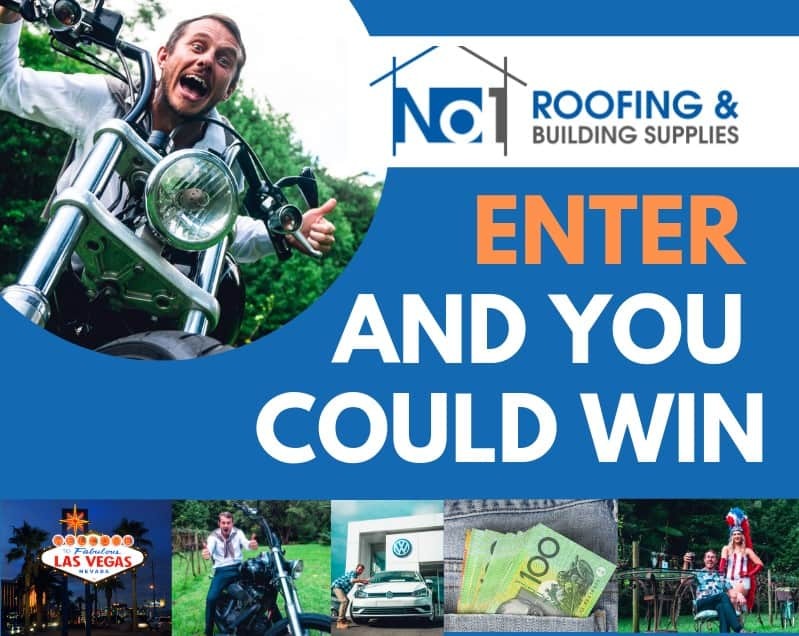 WRITE IN 50 WORDS OF LESS WHAT YOU LIKE ABOUT NO1 ROOFING AND, OR COLORBOND, BRADFORD, BUILDEX OR LYSAGHT. ENTER YOUR DETAILS BELOW AND YOU COULD WIN! COMPETITION CLOSES 11:59pm (AEST) on 30/6/2019.